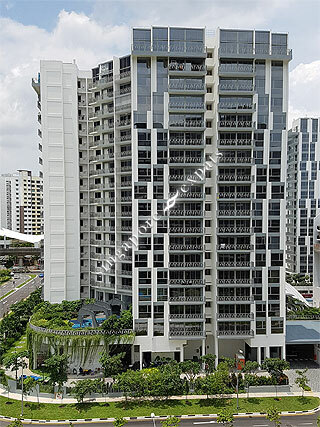 FLO RESIDENCE is located at 1 - 13 PUNGGOL FIELD WALK in district 19 (Hougang, Sengkang) of Singapore. FLO RESIDENCE is a 99-year Leasehold Condo development consisting of 530 units. FLO RESIDENCE is completed / TOP in 2016 (estimated), developed by PUBLIQUE REALTY PTE LTD.
Educational institutions like OVERSEAS FAMILY SCHOOL (OFS), UNITED WORLD COLLEGE OF SOUTH EAST ASIA (EAST), DPS INTERNATIONAL SCHOOL, GREENDALE PRIMARY SCHOOL, MEE TOH SCHOOL and HORIZON PRIMARY SCHOOL are near to FLO RESIDENCE. FLO RESIDENCE is accessible via nearby PUNGGOL, SENGKANG and BUANGKOK MRT Stations. Nice peaceful environment. Good place to bring up kids and relax. Good view from the high floors, many amenities within walking distance. LRT is a stone throw away too.